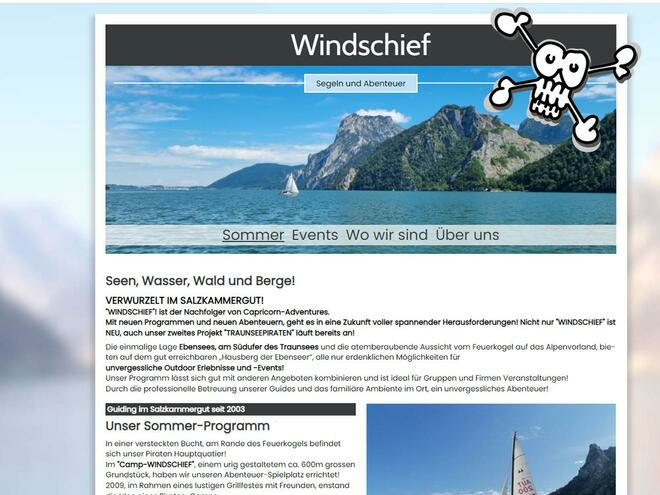 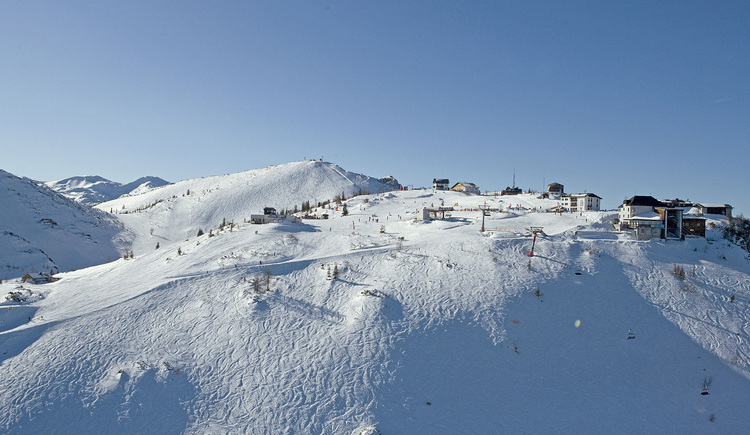 Winter season 2018/19 has finished, thanks to all visitors and guests. 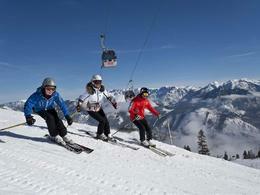 From Mid February every Wednesday guided snow shoe hiking up on Feuerkogel 10.30 o'clock. 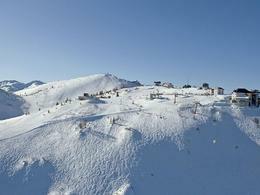 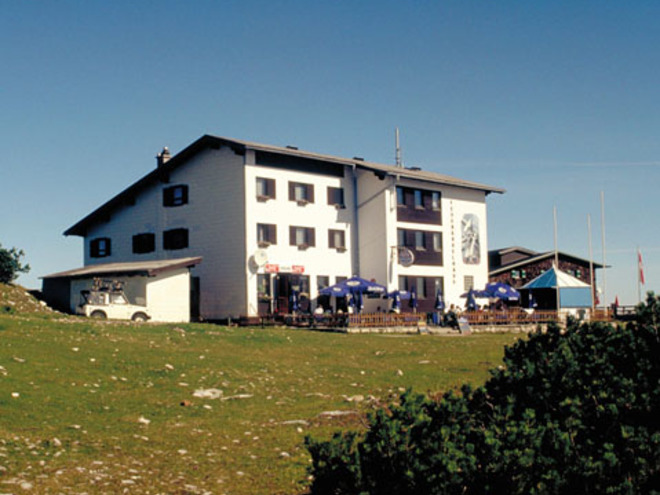 > lift facilities: from 8.30 a.m. to 6.00 p.m. 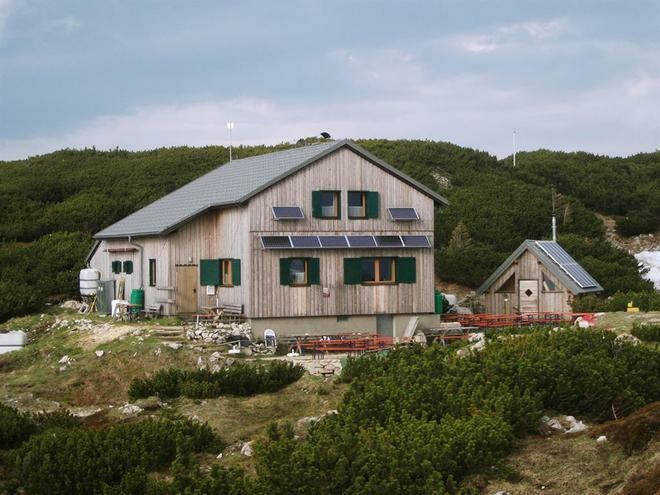 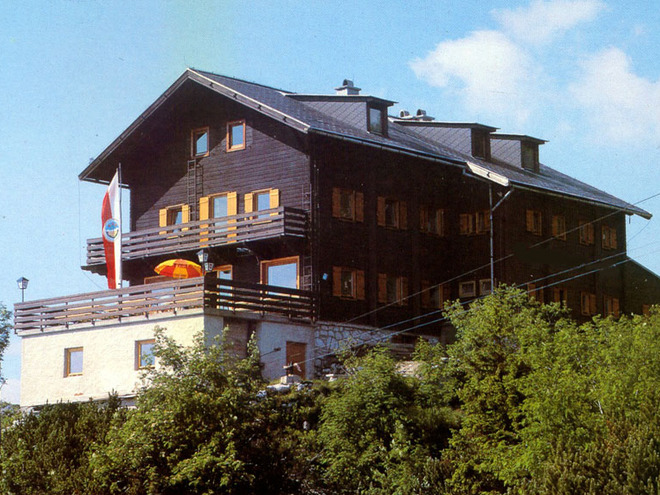 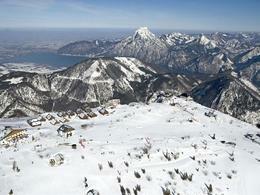 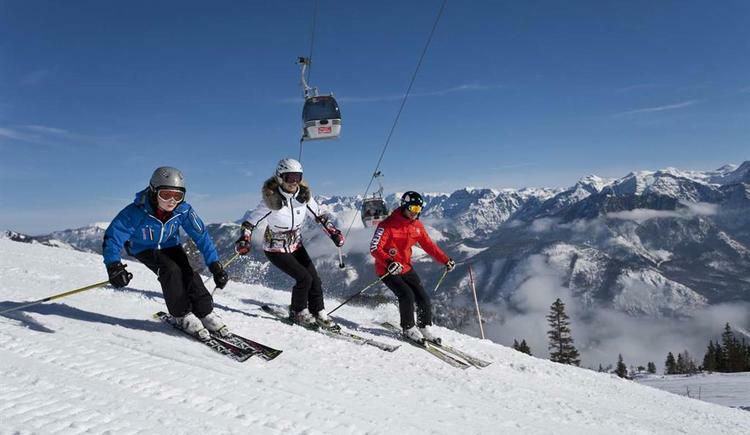 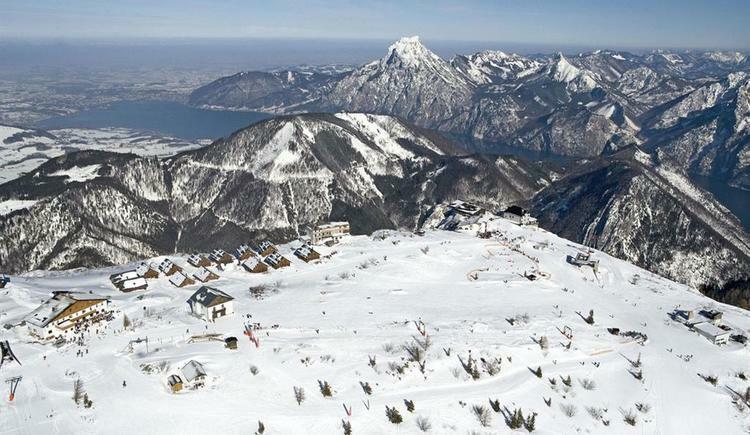 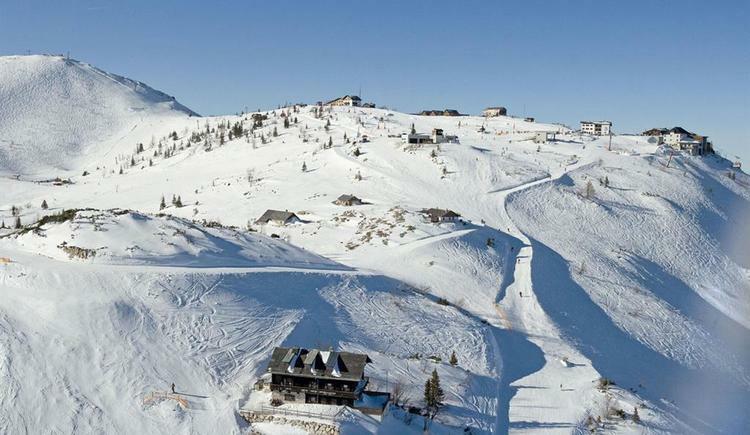 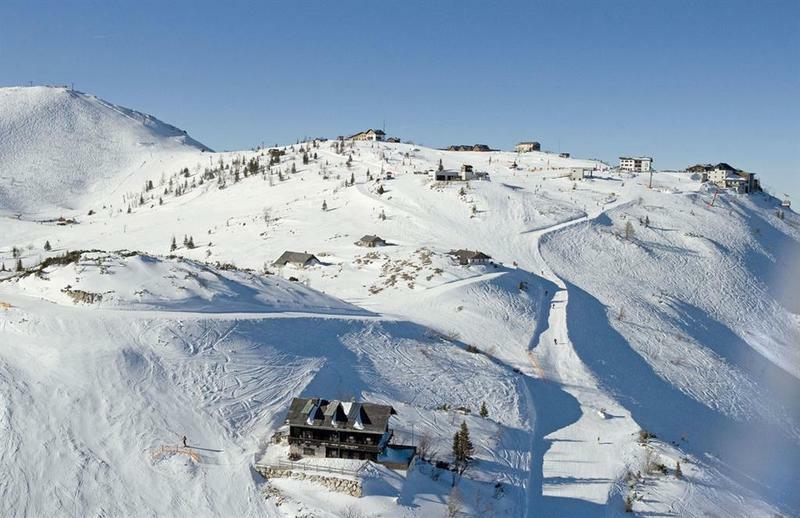 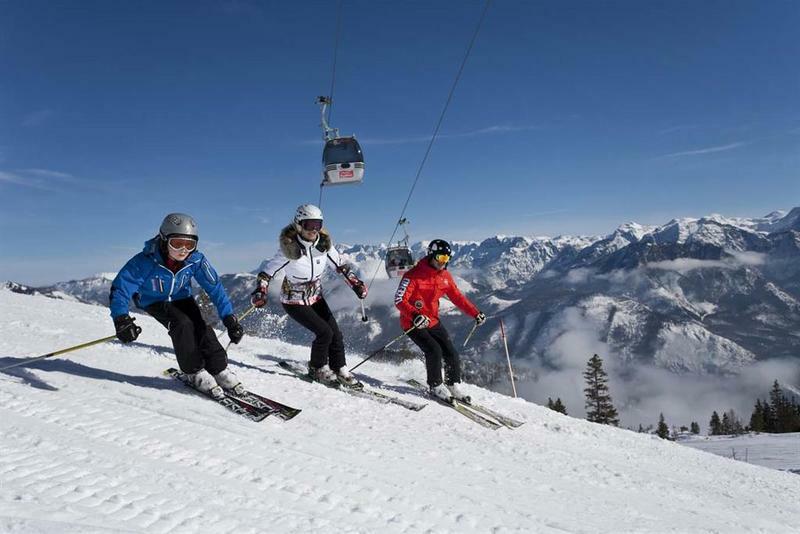 The Feuerkogel, Upper Austria’s most sun-blessed site, with its family-friendly pistes, fantastic all-round panorama view of Dachstein and of the lakes, cosy Alpine lodges and many sporting opportunities, invites you to experience an unforgettable snow adventure in the heart of the Salzkammergut! 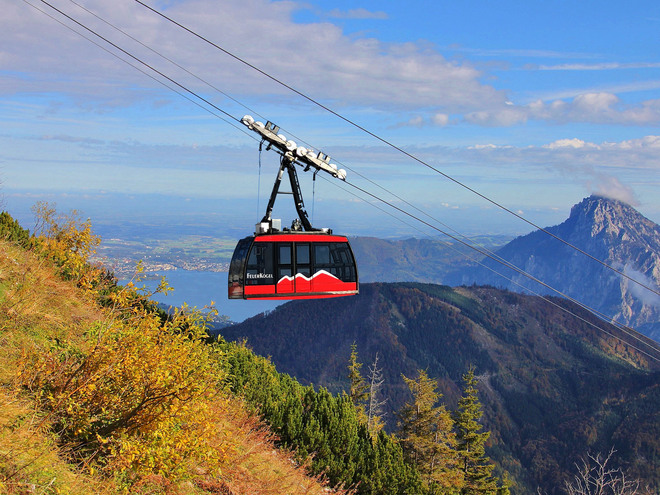 Easy to get to from Ebensee am Traunsee via the Feuerkogel cable car, at 1600 metres you head into the middle of this adventure-filled mountain village. 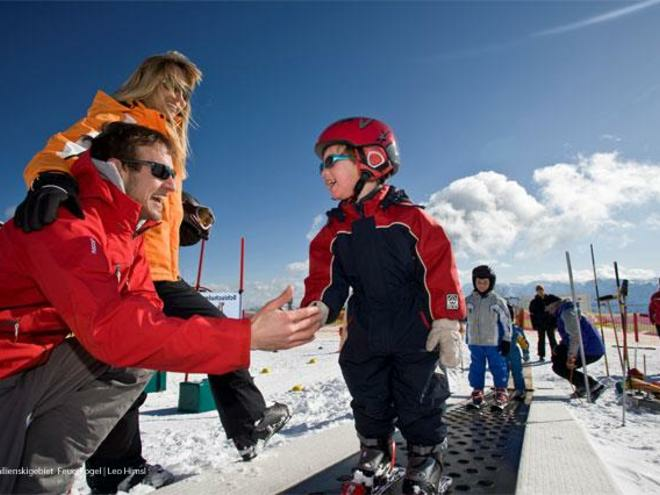 For winter athletes who like to relax and take things easy, the little ski circus on the Feuerkogel high plateau provides very well prepared pistes and lots of routes for beginners and families. 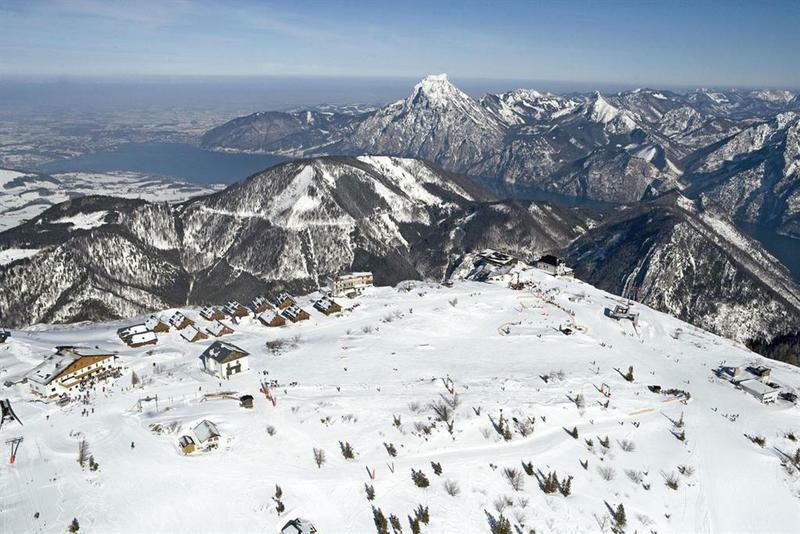 More ambitious snow fanatics will find a challenge to suit them in the two kilometers long unprepared ski run into the valley. 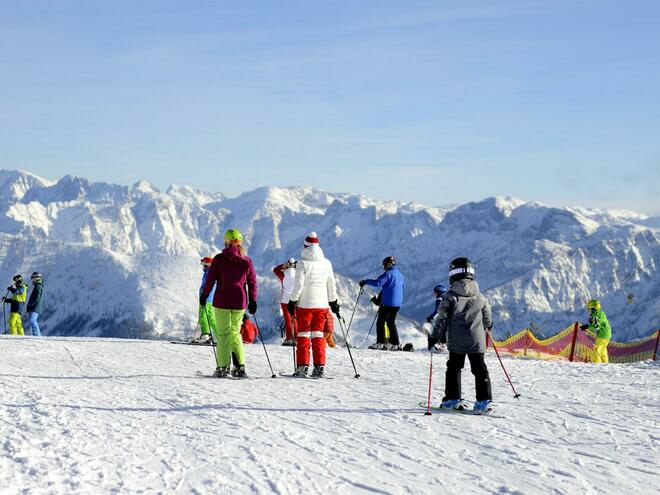 Tourers and snow-shoe hikers hold the wonderful plateau in high regard as a starting point for tours of every difficulty level, while many boarders prefer to ‘unnerve’ themselves on the un-tracked slopes down into the valley. 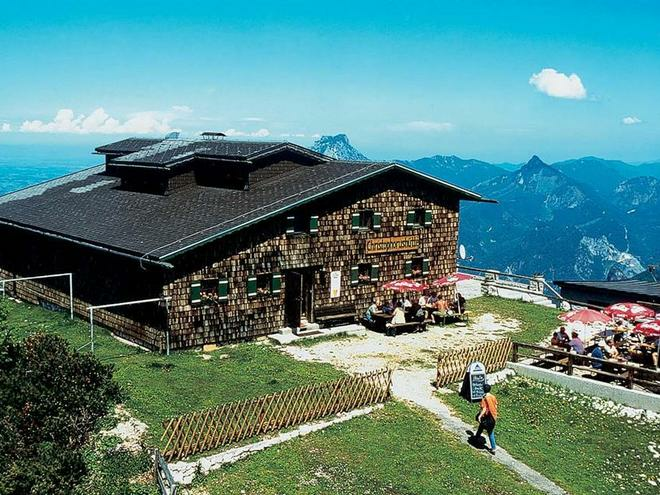 You have to leave the Salzkammergut road B 145 into the center, follow the main street "Hauptstraße", till you come to a little bridge. 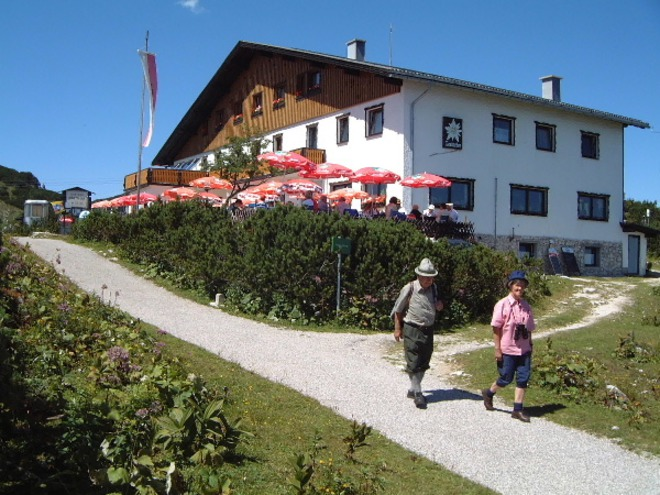 There you turn to the right and follow the "Langbathstraße", till you reach after 1 km the cable car station Feuerkogel.